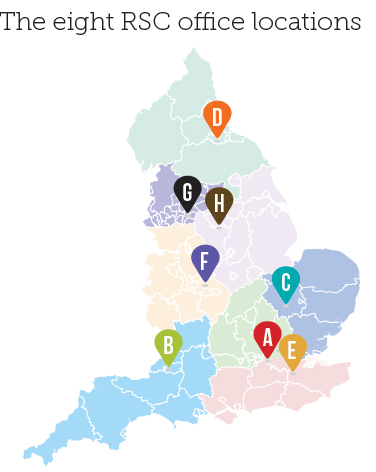 Over eight weeks we have profiled each of the eight regional schools commissioner (RSC) regions. RSCs are the government’s ‘middle tier’, introduced as a new layer between individual academy schools and trusts in England, and the Department for Education. Announced in December last year, RSCs have a remit of monitoring the performance of the academies in their area, making recommendations on free school applications and of supporting academisation. Each RSC will be supported by a headteacher board, made up of elected, appointed and co-opted members. Click on the names below for more details.